There’s a ‘Master Recipe’ in my Ultimate Casserole magazine which allows you to design your own casserole. Big Kid saw the recipe and thought it would be fun to make it. He selected the combination and we put it together this evening. 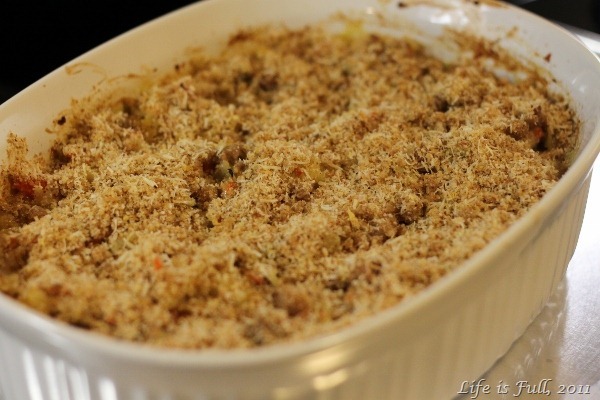 I had my reservations about his combination but I went along with it so this casserole will be truly his! He helped to make it too and he liked the end result as did his brother. However, if it’s up to me, I wouldn’t use ham or tomato soup! 8 oz packaged dried Pasta e.g. macaroni, farfalle, egg noodles. He chose macaroni. 1 pound meat e.g. 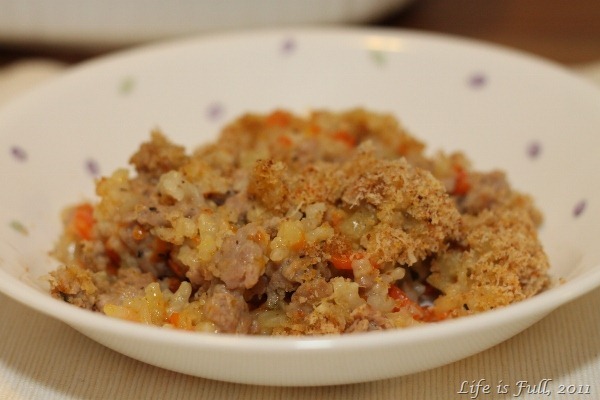 ground beef, bulk sausage, ground turkey; 2 6-oz cans Tuna; or one 15-oz can Beans, rinsed and drained. 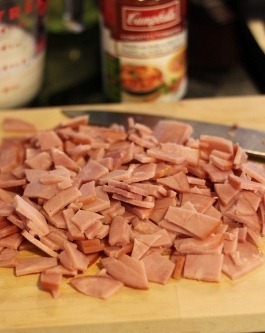 He chose chopped ham (2 cups). 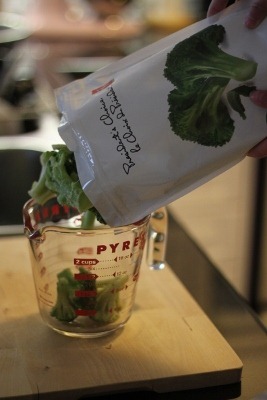 1-1/2 cups Frozen Vegetables e.g. peas, peppers, mixed vegetables. He chose broccoli. 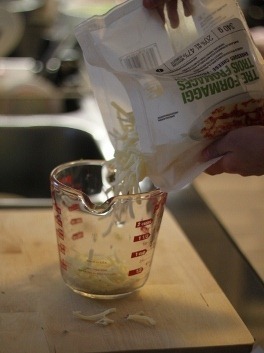 1 cup Shredded Cheese (4 oz) e.g. cheddar, Mexican blend, Monterey Jack. He chose Italian blend. 3/4 cup milk. 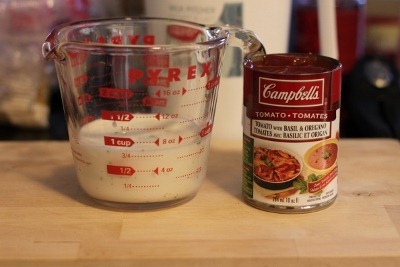 1 10.75-oz can Condensed Soup e.g. cream of celery, cream of mushroom. He chose Tomato. 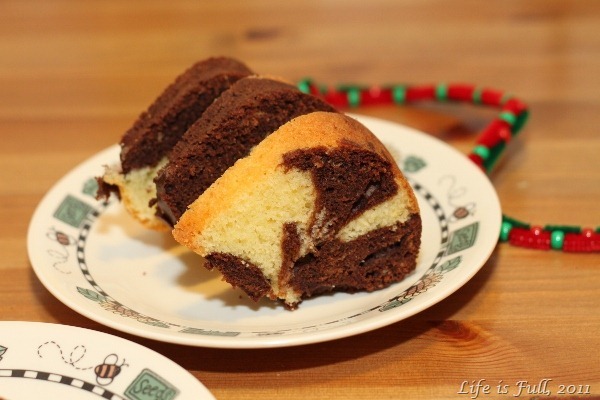 1/2 cup Topper (optional) e.g. 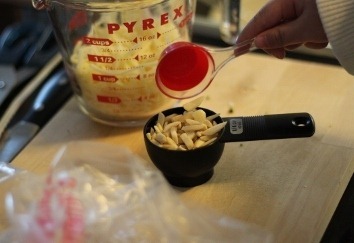 coarsely chopped nuts, crushed potato chips. 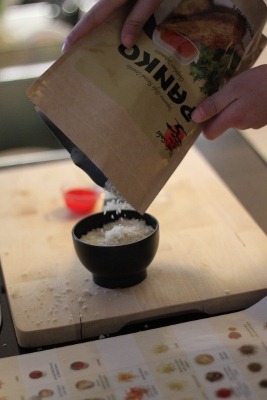 We used Panko. 1. 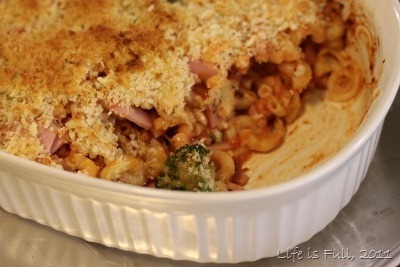 Grease a 2-quart casserole; set aside. 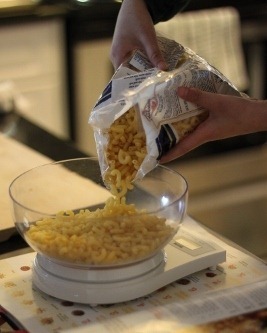 Cook Pasta according to package directions; drain. 3. Combine cooked Pasta, Meat, Condensed Soup, Frozen Vegetables, half of the Shredded Cheese, the milk, Goodie, and Seasoning (which we omitted as the Tomato Soup was seasoned with Oregano and Basil) to cooked Pasta. 4. Stir well to combine. 5. 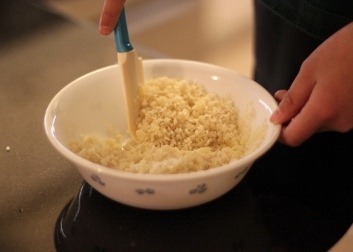 Transfer Pasta mixture to the prepared casserole. 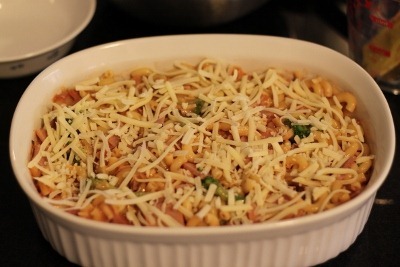 Sprinkle with remaining Shredded Cheese. 6. Bake covered, in 350 degrees F-preheated oven for 45 minutes. Uncover; if desired, sprinkle with Topper. 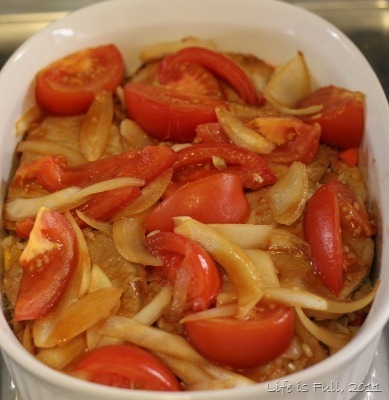 Return to oven and bake for 10 to 15 minutes more or until heated through and Topper (if using) is lightly browned. Makes 6 servings. 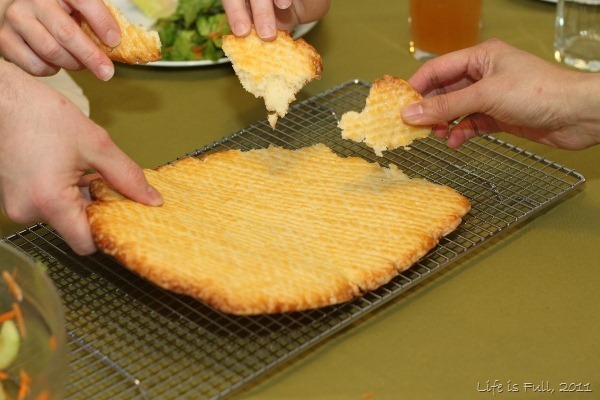 If using Panko or soft bread crumbs as Topper, melt 1 – 2 tablespoons butter and stir together. Scallops – Eat them? Yes. Like them? Yes? Cooked them? No. 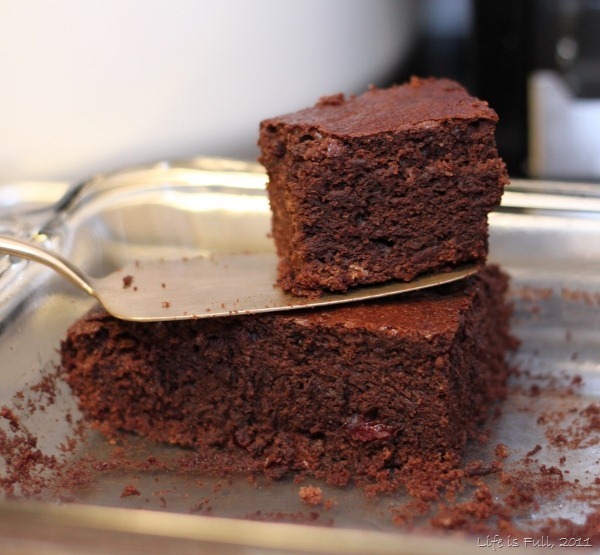 And so it was with mild trepidation that I approached this week’s FFWD recipe. 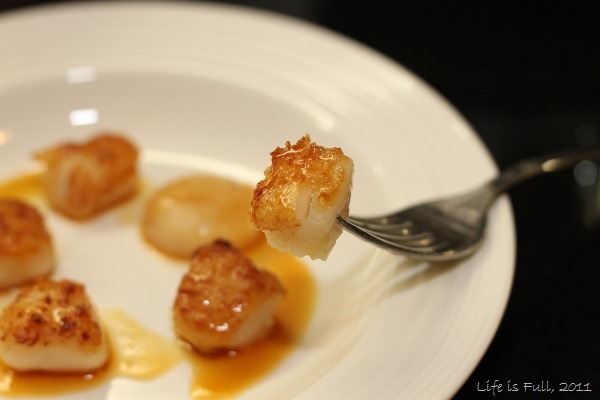 After all, scallops were the food that most often got the chefs in Hell’s Kitchen in trouble with Gordon Ramsay when they either undercooked or overcooked them! “They’re raw! RAW!” “They’re burnt!” If these chefs had so much trouble with scallops, would I fare better? Finding the right scallops was also an activity. I went to four stores before finding scallops suitable for pan-searing. The first store I went to had fresh ones but they were Bay scallops. The frozen variety in that store and the next two were small ones, 60/80 in a pound. The last store had only frozen ones too but at least they were “30/40”. Got a bottle of unoaked chardonnay from the wine rack on my way out and I was all set. 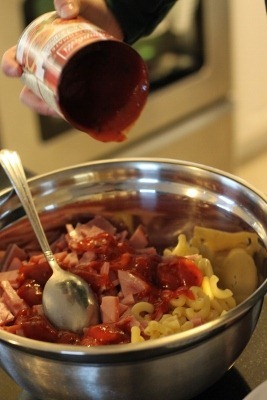 Making the sauce was fairly simple. 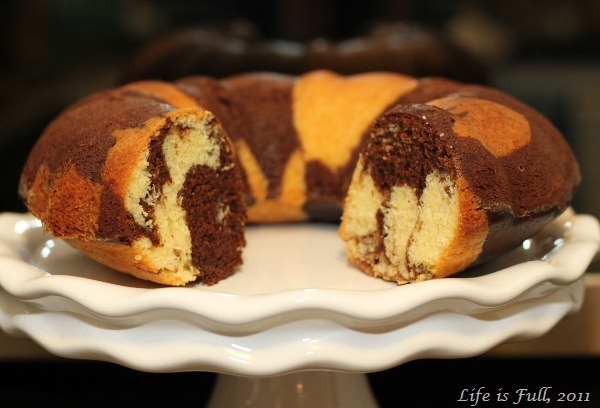 Caramelise 2 tablespoons of sugar and add freshly squeezed orange juice and white wine to it. 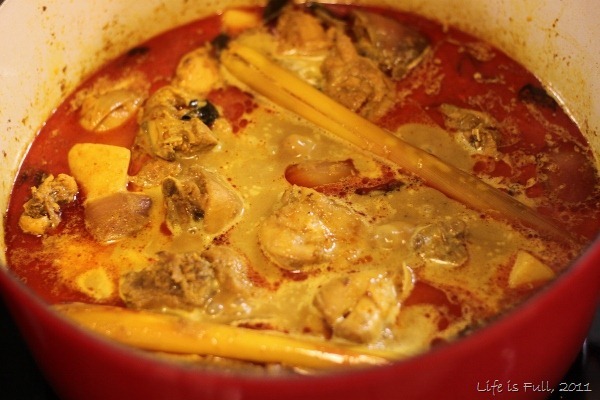 Reduce the sauce and stir in pieces of butter as the last step. Searing the scallops was not so simple and no, I did not fare better than the Hell’s Kitchen contestants. I think my pan and oil were not hot enough as the scallops stuck as soon as I put them in. I had to scrape them off the pan to flip them and they stuck on the other side too. I cooked them about 2 minutes a side till the centre was barely opaque. Hubby liked them firmer so he didn’t mind if I seared them longer till they were browned. He likes his scallops overcooked! 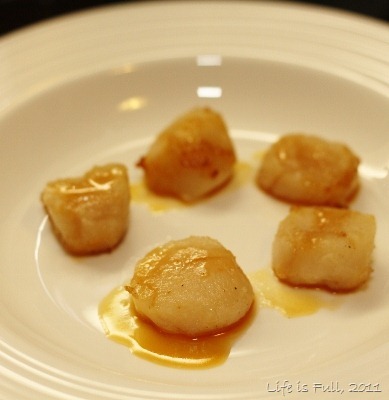 I liked the scallops with the caramel-orange sauce. Hubby felt the sauce was too sour but liked the scallops anyway. I probably won’t cook this dish again unless I come across bigger scallops as the “30/40” ones are too small after cooking. 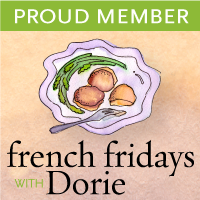 Head on over to French Fridays with Dorie to see how the others fared with this scallop dish! I’m back to French Fridays this week with a cookie. It is, in Dorie’s words, “essentially a large, buttery, flaky, salty-sweet rectangular cookie.” Sel gris or French grey sea salt is what you use for the cookie’s saltiness but I didn’t have any and used kosher salt instead. I pulsed the flour, sugar, salt and butter in the food processor and added 4 tablespoons of cold water to make it combine. I refrigerated the dough for just an hour and baked it for 35 mins. 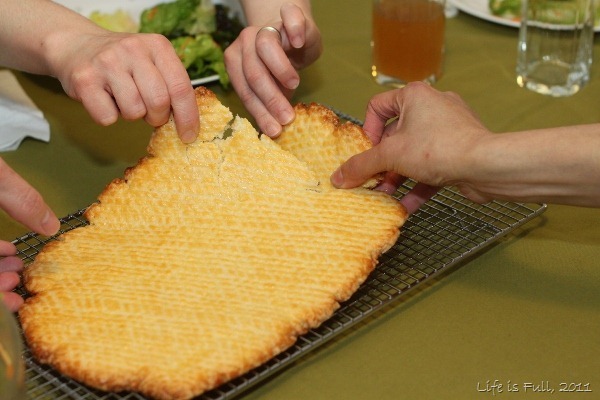 Although this recipe is in the Dessert section of Around My French Table I didn’t serve it as a dessert. I had put it in the oven before our friends arrived for dinner and it was ready just before we were to sit. It was smelling so buttery and good that I brought it to the table and intentionally left it in one piece, as how it is meant to be served, so we could have fun breaking it up. 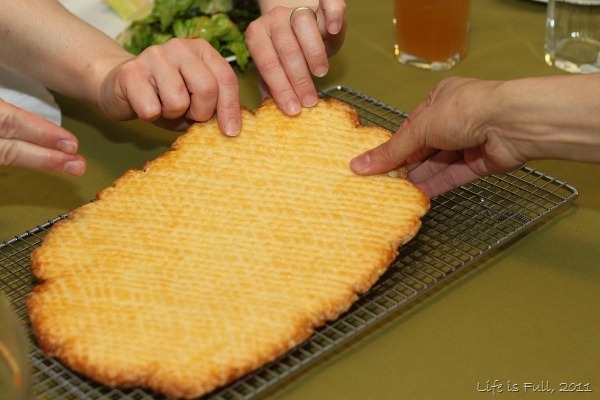 The cookie drew comments like “Mmm..,” “Buttery..” and “Rich…” I found it like a sweet, buttery shortbread cookie. It was unanimous that it was not something to eat before the meal! I left it at the table though and we munched on it after we finished eating. 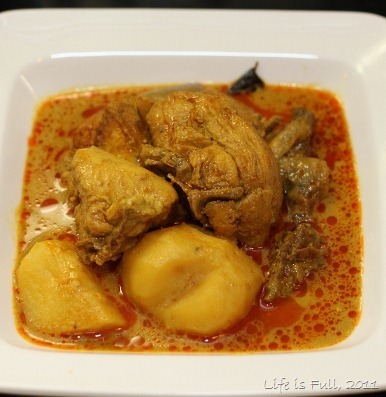 I came across this recipe in a Cooks’ Illustrated magazine recently. 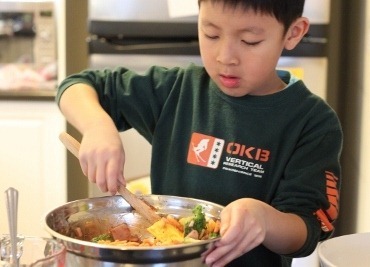 What caught my attention was that their favoured method of cooking green beans here is similar to the Chinese stir-fry-steam-style of cooking. Most cookbooks will ask you to blanch, boil or steam the beans prior to tossing them in a hot skillet but the CI Test Kitchen prefers the flavour of the beans cooked this way – the beans are first browned in a skillet before being steamed-cooked. 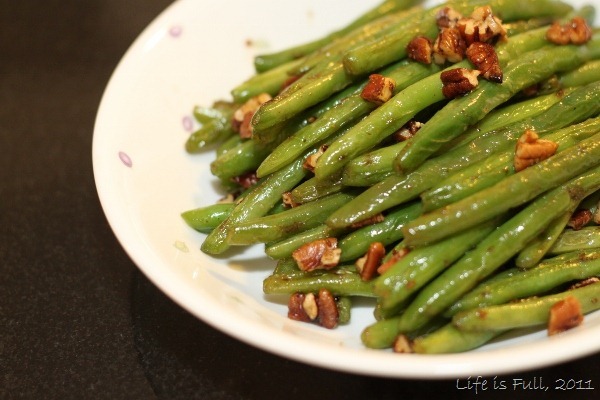 I never knew how to cook green beans properly this way, didn’t know how long to stir-fry it and how long to steam it for. I’m very glad I found this recipe. 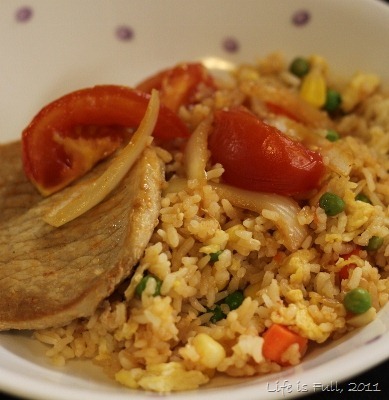 The flavour can be easily changed with different toppings or sauces. 1. Toss the walnuts in a 12-inch skillet over medium-low heat until golden, about 5 minutes. 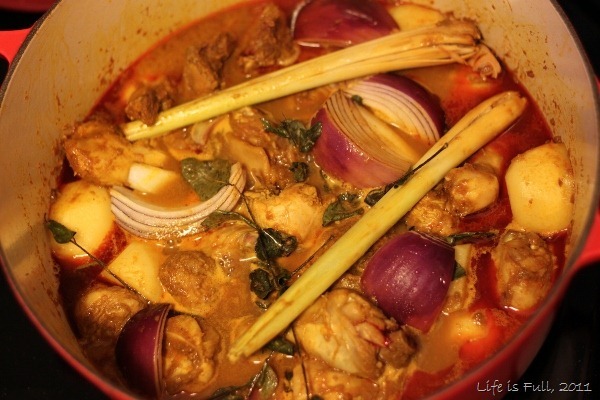 Add the butter and cook, stirring constantly, until the butter is browned, about 2 minutes. Stir in the sugar, ginger, cayenne, 1/4 teaspoon salt, and 1/8 teaspoon black pepper and cook until fragrant, about 30 seconds. Transfer the walnut mixture to a bowl and set aside. Wipe out the skillet with paper towels. 2. Heat the oil in the skillet over medium heat until just smoking. 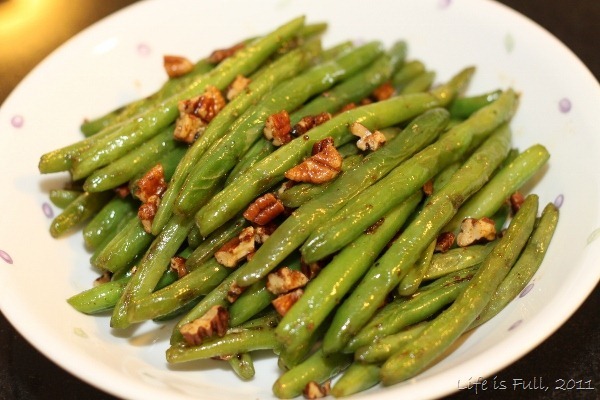 Add the green beans and 1/8 teaspoon salt and cook, stirring occasionally, until spotty brown, 4 to 6 minutes. 3. Add the water, cover and cook until the green beans are bright green but still crisp, 2 to 3 minutes. (Cook’s note: At this point, you should be able to smell the beans, a sign that it’s cooked) Uncover, increase the heat to high and continue to cook until the water evaporates and the beans are crisp-tender and lightly browned, 3 to 5 minutes longer. 4. Off the heat, stir in the reserved walnut mixture. Season with salt and black pepper to taste, and serve.